What started out as a Christmas Day drive last year ended up as a road rage incident that cost a Blaine County man 10 days in jail and about $19,000 to pay for a victim's broken nose. 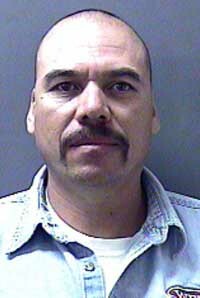 At sentencing Monday in Blaine County Magistrate Court, Judge R. Ted Israel also ordered that 46-year-old Rodolfo Olayo be placed on probation for two years, pay a $500 fine and undergo anger management counseling. The judge further extended a no-contact order against Olayo that prohibits him from knowingly being within 300 feet of victim Nedguer N. Roman until Aug. 29, 2013. Olayo and Roman, then 42, were neighbors at the time of the incident, both living at The Meadows mobile home park south of Ketchum. However, Sun Valley police, the agency that investigated the crime, reported earlier that the two were not acquainted until Olayo punched Roman twice in the face in the parking lot at the Sun Valley Post Office on the afternoon of Dec. 25, 2010. Olayo was earlier charged with aggravated battery, a felony. The charge was reduced to misdemeanor battery in a plea agreement with the Blaine County Prosecuting Attorney's Office. As part of the plea agreement, Olayo agreed to pay restitution for Roman's broken nose, which had to be surgically repaired. Deputy Prosecuting Attorney Matt Fredback said Wednesday that Roman's medical bills from the encounter were "approximately" $19,000. As part of the plea agreement, Olayo had to pay the money before the charge was reduced to a misdemeanor. He pleaded guilty to the crime at Monday's court hearing. According to court and Blaine County jail records, Olayo is not a U.S. citizen but has legal residency status in the United States. Sun Valley police reported earlier that the road rage started in a passing incident on state Highway 75 north of its intersection with Elkhorn Road. Police reported that Olayo followed Roman through downtown Ketchum and down Sun Valley Road to the post office, where the battery occurred.